The Whirlpool MAX35 700W Steam Jet Defrost Microwave in silver is unlike most microwaves as not only does it have a curved back to neatly fit into those awkward corners in your kitchen but it also has a steam function so is perfect for those healthy lifestyles. The microwave comes with touch controls making it more modern as you dont have big dials sticking out. The Whirlpool MAX35 700W Steam Jet Defrost Microwave has a 13 litre capacity which is equivalent to 20 litres due to the design so there is enough room for any meal and the powerful 700W makes sure your food it cooked perfectly. The 3D Microwave Distribution System also ensures that every angle of your food is cooked quickly and efficiently. 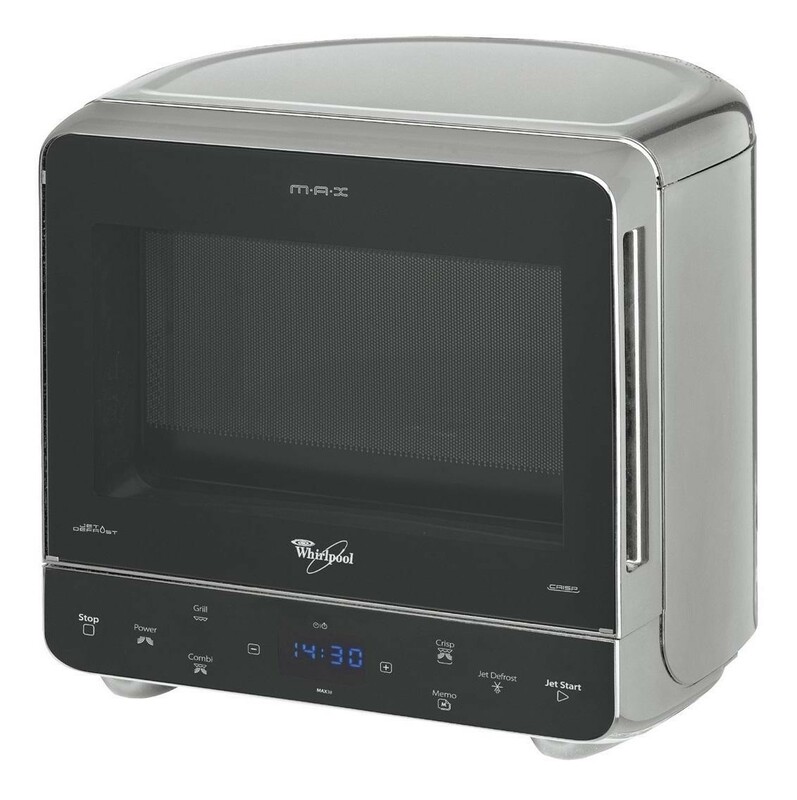 The Whirlpool MAX35 700W Steam Jet Defrost Microwave has very modern functions such as steam and jet defrost. The steam function is very easy to use as all you need to do is add water to the steamer vessel then select the food class and weight and the jet defrost function can defrost food seven times faster than a conventional microwave meaning less waiting around.